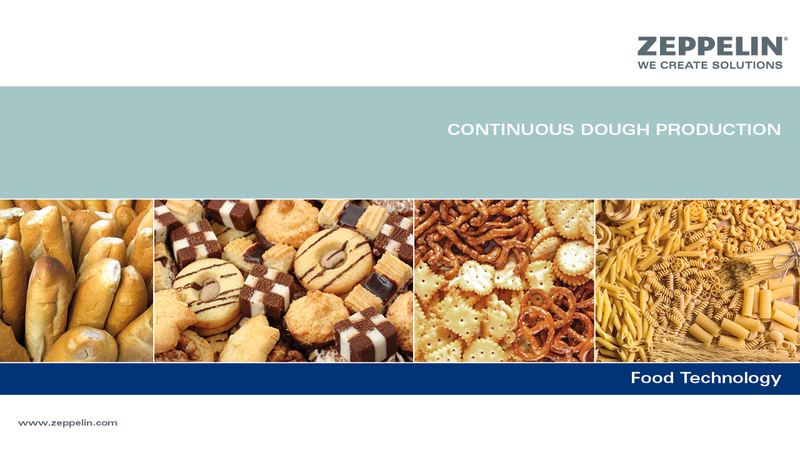 No need to make any compromises especially in demanding tasks within the bakery, confectionery and baby food industries, but instead allow the leading experts to design and construct your system. Zeppelin is the market leader within the industry. No other company can boast such extensive experience in the construction of modern systems within the food technology sector. Customers from the food industry especially appreciate our comprehensive know-how in all areas of handling raw materials: the receipt, storage, discharging, conveying, processing, metering, mixing and controlling of raw materials. We develop outstanding solutions in all areas. Extremely fast. Free of dust. Homogenous consistency. Low energy input. You can profit from all these advantages in the dough production with the new DymoMix. It moistens evenly free falling dry materials with water or e.g. a yeast solution. The biochemical reaction that starts immediately generates a homogenous dough within seconds. The dough can be used immediately or transferred to the batch mixing process resp. the continuous kneader. You save a mixing resp. kneader process and you can handle considerably more dough than before.